Come join us at the new Boxcar Arcade in downtown Durham for knockout pinball tournaments on the 4th Wednesday of each month! Tournament begins at 7PM, please arrive by 6:45 to guarantee a spot in the roster. The format will be group knockout using a "Fair Strike" match-play format. Players will play in groups of 3 or 4 people per machine. In a four-player game, first place will get 0 strikes, second place will get 1 strike, third place will get 1 strike, and fourth place will get 2 strikes (0/1/1/2). In a three-player game, first place will get 0 strikes, second place will get 1 strike, third place will get 2 strikes (0/1/2) Five strikes and you are eliminated from the tournament. The tournament will resume until there is only one player without five strikes! 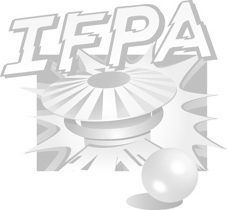 Prizes and IFPA points will be awarded! An optional fee of $1 per player will be assessed for those players wishing to have a tournament rating. MatchPlay software and Swiss-style pairing will be used for the tournament.